Fortnite Season 8 is in full swing and sees the world stuffed with pirates, ninjas, and all that lovely loot to boot. 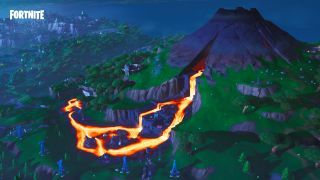 But if you thought the island's lava-spewing volcano and volcanic vents were just for show, though, think again—turns out lava will be the theme of the next limited-time mode, too. Fortnite's latest tomfoolery saw it add a giant hamster ball with a grappling gun to the game, but the critter was shortly removed. Epic didn't expand on why the creature had been removed, and only confirmed via Twitter that it was investigating a "stability issue". More than 100 emotes, outfits and other unlockables have been unleashed via Fortnite's new battle pass, and it should also be easier than ever to complete challenges thanks to the new party assist system.